Before my parents married, an old country doctor told my dad's parents that his then fiancee was going to be a young widow. You see, as a boy, my dad had suffered from rheumatic fever, which at the time, wasn't thought compatible with a long life. Fifty three years later, after three open heart surgeries (consequences of rheumatic fever), two sons and five grandkids, a career as a Presbyterian minister, and a retirement that puts my own social life to shame, my dad left us suddenly but peacefully on Monday, March 20, 2017. He probably shouldn't have been out at all because, at 82, he was ailing, yet there was no talking him out of going to my nephew's first baseball game of the season, and on the first day of spring, as he walked toward the stands, he fell and hit his head. He wouldn't have wanted anyone to fuss over him, and though the doctors and nurses in the ER fussed plenty, in the end the injury to his brain was more than his 82-year-old body could bear. We were all by his side as he eased away...without a fuss. It was, of course a horrible few hours for us, but it was as close to passing in one's sleep as his death could have been. For that, we are grateful. We know he would have wanted it that way. Rev. David Arthur Donovan, 82, of Evanston, passed away on March 20, 2017. Born in Delaware, OH, David graduated from Ohio Wesleyan U. in 1957. He came to Chicago in 1959 to study at McCormick Theological Seminary and became deeply connected to the area and its people, whom he spent the rest of his life serving. He served as associate pastor, First Presbyterian Church of Evanston (1962-65); associate pastor, Winnetka Presbyterian Church (1965-74); Stated Clerk, Chicago Presbytery (1974-78); and associate pastor, Fourth Presbyterian Church, Chicago (1978-98). He was a Life Trustee of Rush Presbyterian St Luke’s Medical Center; Life Trustee of The Presbyterian Homes; member of the Board of Directors of the Lloyd A. Fry Foundation and of the Negaunee Music Institute at the Chicago Symphony Orchestra. David is survived by wife Katy (Boswell) Donovan, sons Tom (Sheri) and Jim (Karen), four grandchildren, and many nieces and nephews. 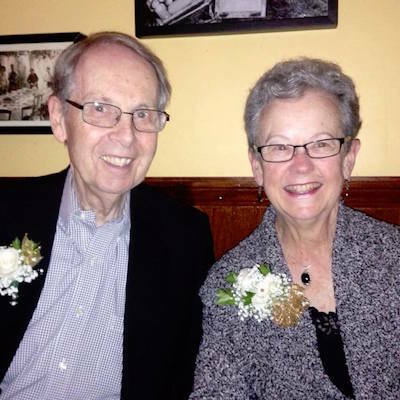 Memorial services: Apr 19, 10am, at the Presbyterian Homes, Elliot Chapel, 3131 Simpson (Golf Road), Evanston; Apr 21, 10am, at 4th Presbyterian Church of Chicago, N. Michigan Av.@Delaware. A small service will be held Wednesday, April 19, 2017, 10:00am, at Elliott Chapel of the Presbyterian Homes - Map Note: Elliot Chapel is located on Arbor Ln. Enter the campus from the south, off Golf Rd., just east of Crawford. Parking is limited. Include "New Hope Scholarships" on the memo line to ensure that your contribution is correctly allocated.